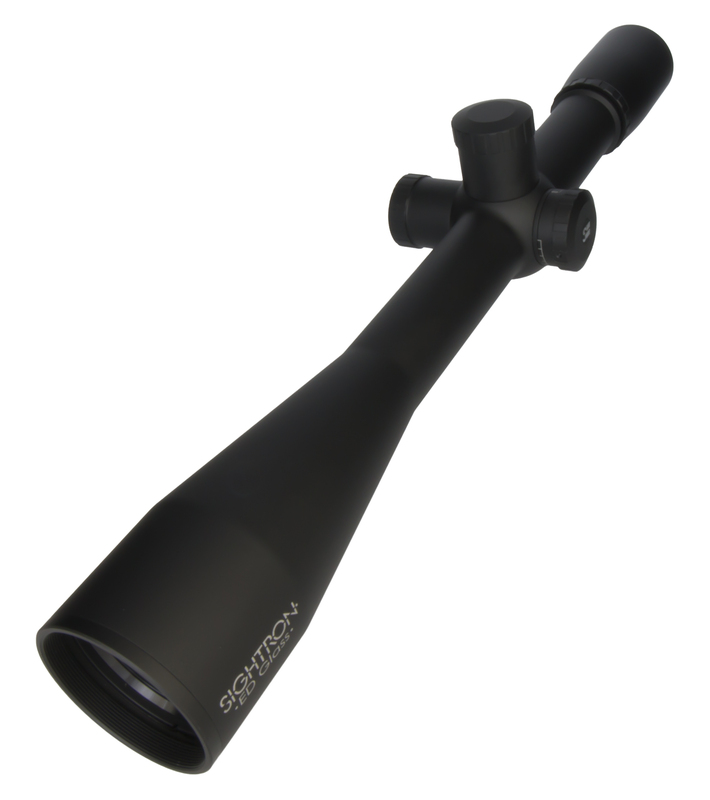 Designed for the competitor, the SIIISS45x45ED has all the features to provide a winning combination.The ED glass objective provides high quality images and superior target definition. The Side Focus knob will focus from 10 yards to infinity and combined with 1/10 MOA Target Knobs provide the perfect scope in a 20.5 oz. package. Target Turret : Precision adjustable turrets offered in 1/10 MOA adjustments, turrets are resettable to zero and are protected by rugged windage and elevation caps. Side Focus : Parallax adjustment aimed for quick and easy adjustment and will focus from 10 yards focusing distance to infinity. Lifetime Warranty : We are so confident in the quality of our products that Sightron offers a Lifetime Warranty. ExacTrack : This ExacTrack windage and elevation adjustment system applies a proper alignment between the adjustments and the erector tube. ED Glass : ED Glass ( Extra Low Dispersion Glass) is a special glass added to optical systems to prevent chromatic aberration. Zact-7 Revcoat Multi-Coating : Sightron's Zact-7 Revcoat employs revolutionary lens coating technology featuring fully multi-coated precision ground glass. Waterproof: Rain, snow or humidity, Sightron optics are built using 100% sealed system ensuring a lifetime of performance. Shockproof : Rated for recoil and impact from even the toughest loads. Nitrogen Gas Charged : Nitrogen filled to provide a lifetime of use from fogging and internal water buildup.